If you’ve viewed source on my site or followed me on Twitter, you’ve noticed something strange: I’m a Drupal Developer, but my site runs WordPress. What the heck!? A certain tweeter also implied that this site would be too hard to do in Drupal. Well, paying respect to the old Wild West…them’s fightin’ words! First, the backstory: This site was set up before I specialized in Drupal. 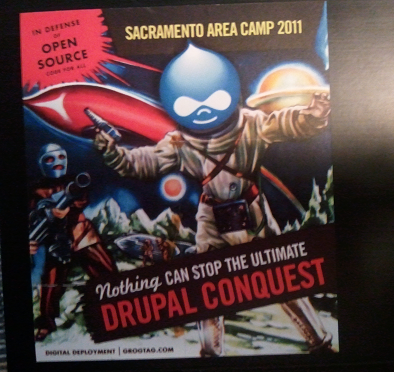 Once I specialized in Drupal, I got too busy to convert it! Until now. I don’t want any more tweets like that, so I’m aiming to convert it before or during DrupalCon London.